Contacting college coaches is one of the most crucial parts of the recruiting process. I mean, they can’t recruit you if they don’t know you exist, right? High school athletes need to know the importance of getting in contact with college coaches. You cannot wait around thinking that you will be discovered somehow; you would already know if you were being pursued by ac college program. But do you know what to do after you’ve made that initial contact? There are many things to consider when you have started a conversation with a college coach: how often should I email them? When should I call them? What do I say? Being able to maintain consistent contact with coaches will make or break your chances at finding an athletic scholarship. Once you have started contacting coaches, you will need to work hard to keep them informed about your progress in recruiting and what is going on with you athletically and academically. Most of the recruiting process occurs over a matter of months or years, so coaches will want updates on your season and school year. College coaches use your updates to follow your progress and compare you to other recruits. If they stop hearing from you, they assume that you have lost interest and they will move on to recruiting another athlete. You can miss out on opportunities if you fail to keep in contact with coaches! – Statistics: College coaches will want to see how you are progressing through the season while you are in school, so it is important to keep them updated on your season. Send them any updated stats or other information regarding your season. 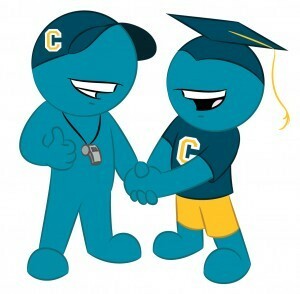 – Grades/Test Scores: Your academics are just as important as your athletics. College coaches want to see that you are working hard both in the classroom and on the field. You need to keep up your grades and SAT/ACT scores to be eligible and get accepted into the school. – Recent Accomplishments: Coaches are always pleased to hear when your hard work has paid off so you should feel free to update them on any PRs, awards, and improvement that you have recently achieved. – Application Process: When it comes time to start applying to colleges, coaches will want to know when you have submitted your application so they can keep an eye on it as it goes through the admissions office. They can also answer any questions you may have about it and how to apply. – Questions about the Program: As you develop relationships with college coaches, you should always take advantage of their contact to ask them any questions you may have. You can ask them about their recruiting, their coaching style, team standing, or about the school. They can be a great resource for any questions you may have regarding their program. Need more help with staying in contact with college coaches? Ask us your questions by leaving a comment below or connect with us on Facebook and Twitter.